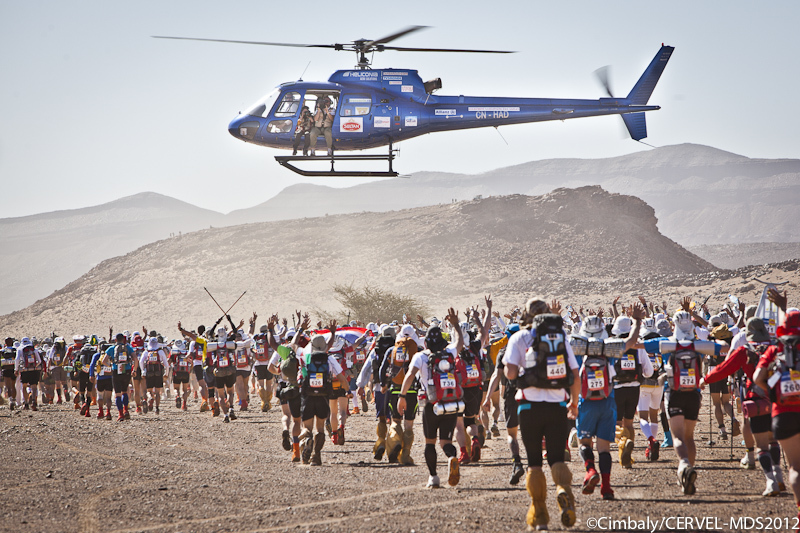 Who would have thought it, the 2013 Marathon des Sables turned out to be a great year for British performances. Danny Kendall placed the highest ever overall placing with 10th and Jo Meek placed 2nd lady overall. It was a stunning performance by a relatively unknown. 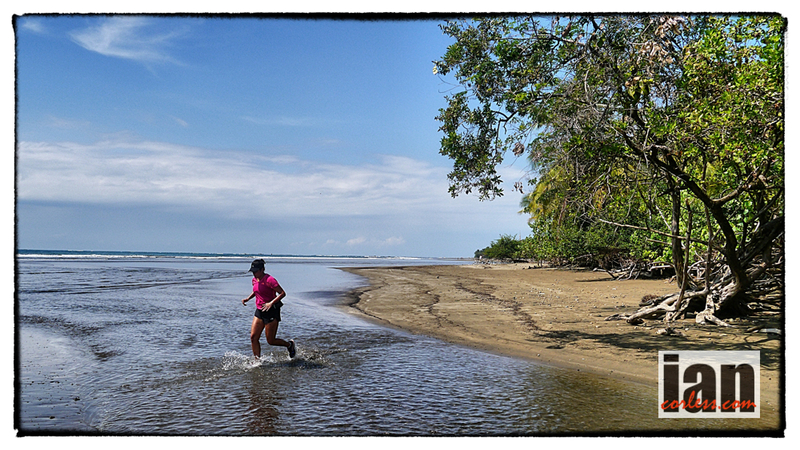 Armed with a new belief in her ability, Jo will has now planned to switch from the heat of the Sahara and test herself in the heat and humidity of a Costa Rican rainforest at The Coastal Challenge. 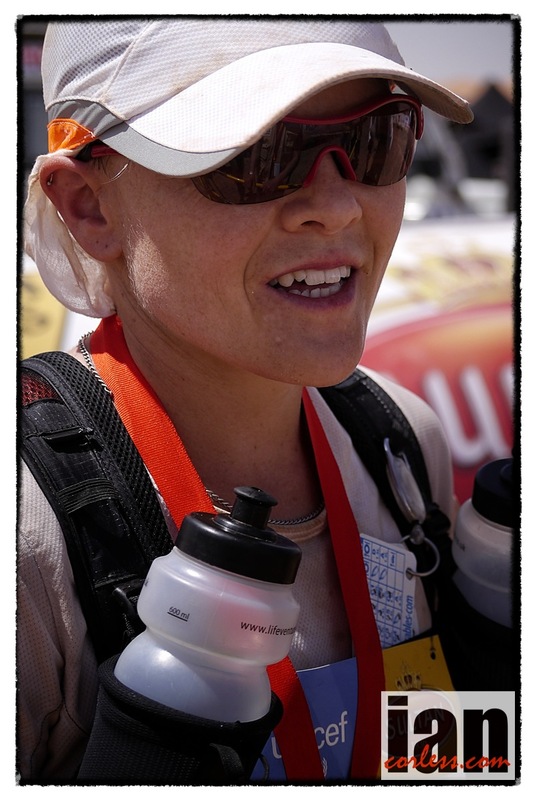 I caught up with Jo at the end of August and we had a chat about MDS and her expectations for TCC. 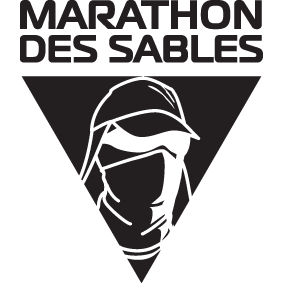 IC I bet April and the Marathon des Sable (MDS) seems such a long time ago? JM Yes, it does seem ages ago. Considering I am walking now in late August in the pouring rain. It’s wet and miserable… it doesn’t seem that long ago in regard to memories. I just watched the video that was available for download and it brought it all back. IC So sitting at home, watching everyone running in the sand with a tear in your eye? JM Definitely no tear, I think I am happy not be running in the sand. 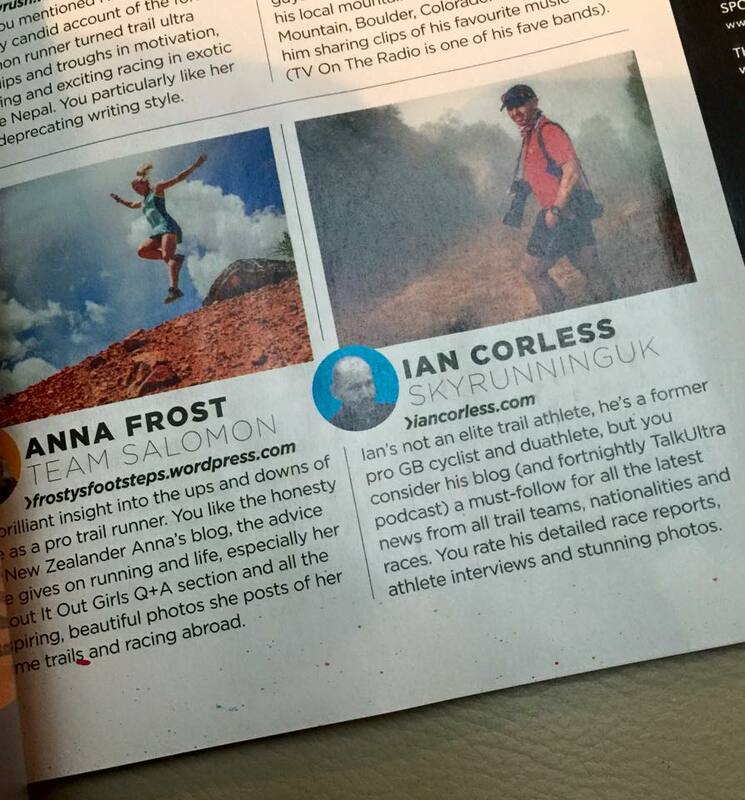 I am still surprised how I adapted especially considering I am now at home running on the road again. 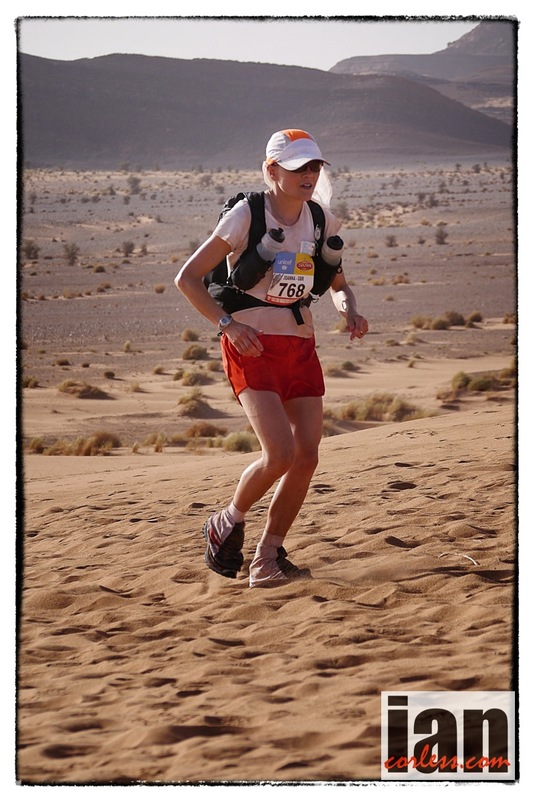 IC Amazing eh that you can be in that environment, the sand, the wind, the bivouac, no washing, you are eating dried food and you adapt and then post race when we got in a luxury hotel, you said, you wished you could go back, you loved it didn’t you! You loved being in that environment. It was preferable to the clean hotel. JM I did. Yes, I actually think I could be quite a ‘skanky’ person really. I am far happier roughing it than in luxury. I guess it sounds romantic but I like being at one with nature, eating, running and sleeping. Perfect. But I guess the other memory is the one from those clean white cotton sheets; that was quite special. IC I have to say, the first shower, all that fresh hot water and then all the sand starts to escape from all the nooks and crannies. As you say, no more sleeping bags and a lovely comfy bed, it is quite a pleasure. JM My roll matt was about the size of A4 to keep it light and small, so my hip was pretty sore after a week in the bivouac. I have to say the cushioning of a bed was welcome. IC The Bristh performed really well at MDS. No disrespect to you but we had no idea who Jo Meek was before MDS. We knew Laurence Klein was outright favorite and we knew Meghan Hicks was back, she had performed well previously but outside of that it was all unknown. On the first day you were up at the front and then continued to perform at the front of the race for the whole race. You had this great battle with Meghan. Laurence had a convincing lead but it all fell apart on the long day when she had to drop with dehydration. This opened it up for you and Meghan. Meghan had a great long day but I remember standing on the finish of the final day, it was the marathon distance, you nailed it. You said the marathon was your distance and you wanted to stamp your authority on it. 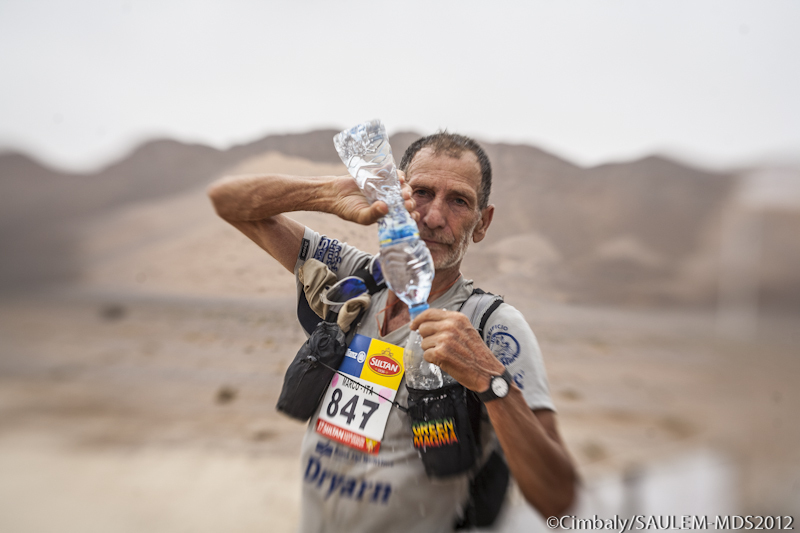 You placed second overall, many look at MDS as one of those iconic mult- day races, how did you go from a relatively unknown to getting second. What was it in you that enabled you to focus and become so efficient in the sand? JM A few things really. I am very good at setting a training plan and sticking to it. When I race, I always race. I don’t just enter to complete it. So, looking at the conditions I set myself up in a heat chamber and did training that was specific. I didn’t want heat to be an issue so I acclimatized. What was interesting over the six days was that I became less scared of what the heat could do. On the last day I thought, what have I got to loose. I do think back now and wonder could I have gone harder but it was an unknown. I didn’t know what would happen so I played cautious. Meghan taught me a lot without her realizing it. I followed her on a couple of stages and I watched how she tracked across the sand looking for the hard sand, even if it was out of the way. She would deviate and look for the harder and faster sand. Also her style, it’s a definite technique to sand running. You don’t want to be a toe runner. IC For sure, you need a flat foot. JM Yes, you also want to shuffle. You don’t want big strides. A little like being in the army again. I learnt lots. I learnt also from training. I had done some awful ultras that were definitely worse than MDS. One race, a 40-mile race across Exmoor and the weather was awful… they said 40 but it was 43-miles I am sure. The last 3-miles were awful. IC That can be good, a bad training experience. If you have had some tough and hard training and the race works out easier then that has to be a good thing. It’s a real positive. JM I had no doubt that I wouldn’t finish the race. I had said that I wanted the podium at MDS but I had no idea what I based that on. IC To put things in perspective you are a 2:46 marathon runner. Ability and speed are there. Many would die for a 2:46 marathon but also you are in the army. Does the combination of those two things make a good MDS runner? JM I think the marathon pace and training was key in terms of the speed. I didn’t have the same endurance as Meghan over the ultra distance. Many of the days were shorter in terms of ultra distance so I knew I had that potential. 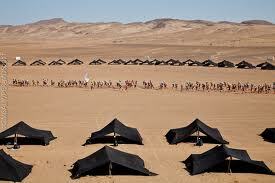 In terms of tent life and conditions, maybe the army helped but that is me… I like that. The army helped with discipline; eating, drinking and so on… it was feet first, food and then wash. You need to look after yourself. IC Give us an insight into your background, you are a roadrunner really? JM Yes, but I do like cross-country. I came second in the Nationals. Essentially I have done road running. I started in my teens to loose weight and then just kept going. I wouldn’t say I have natural talent in terms of speed but I have something that works, particularly over distance. IC How long have you been running? JM 18 years, maybe 20! IC So you have a great base of running and plenty of experience? JM Yes. 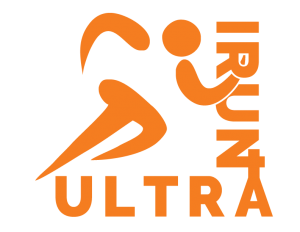 I always thought that maybe I should do ultra earlier and I thought, no rush! Particularly with how you develop with age and aerobic capacity. It seemed like the correct time for MDS. As you know, you don’t just enter MDS you have to enter years in advance. 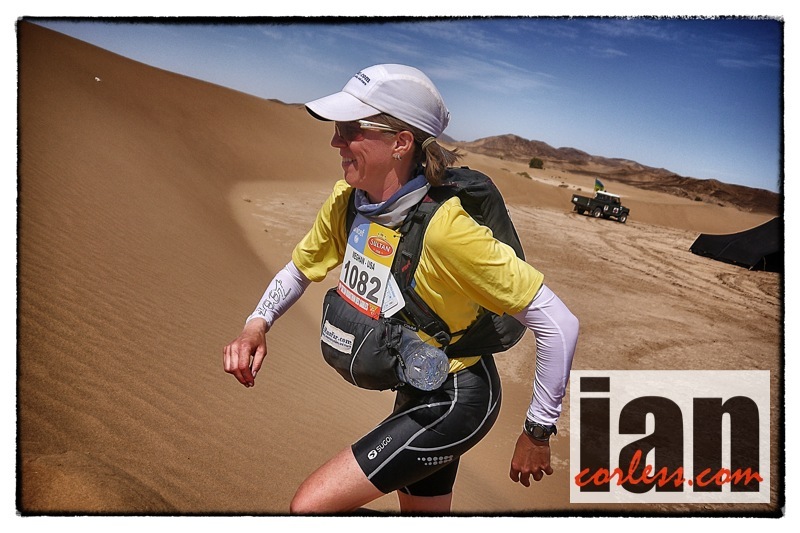 IC Post MDS you really wanted to improve your marathon time. You put yourself on that path and recently you run a half marathon but you were disappointed with the performance. 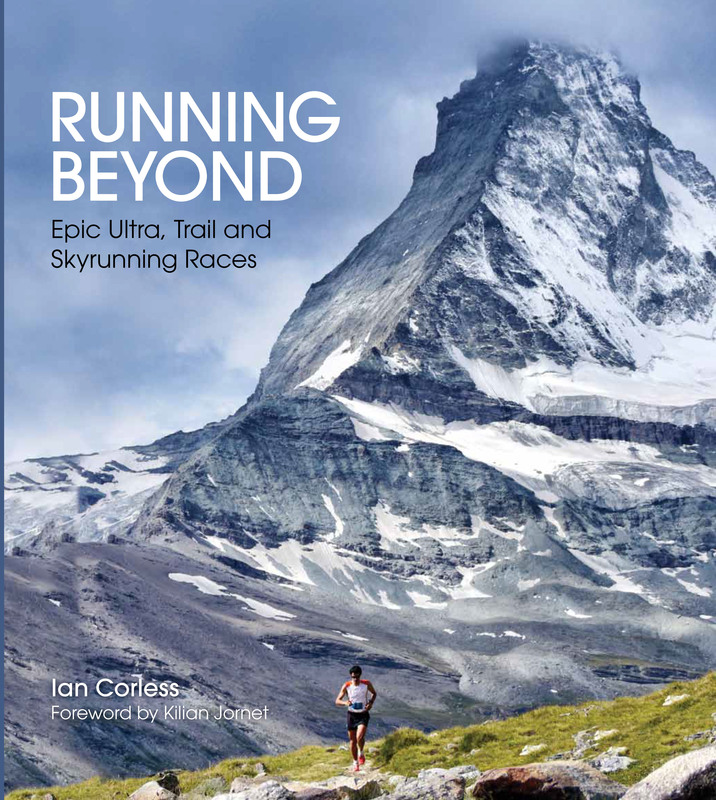 Many factors can affect a race, a conclusion you have arrived at is that you are now going to pursue trail and ultra running. So, you are going to another multi stage in early 2014 but this time you are going to a Rainforest. 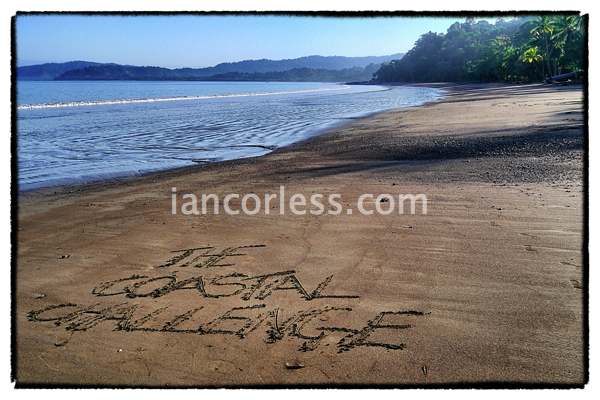 It’s a race that I was at earlier in 2013, The Coastal Challenge in Costa Rica. Also known as the Rainforest Run. What’s the attraction? JM I am always very attracted to a country that is hotter than the UK. That is a no brainer! It’s the challenge, the opportunity to compete in something so different. This race I don’t need to carry all my kit, so, unlike the MDS I will be able to just run but admittedly for repeated days. It will be interesting and it should mean I can go faster. IC The race is very different to MDS. Some things carry over such as the multi day. 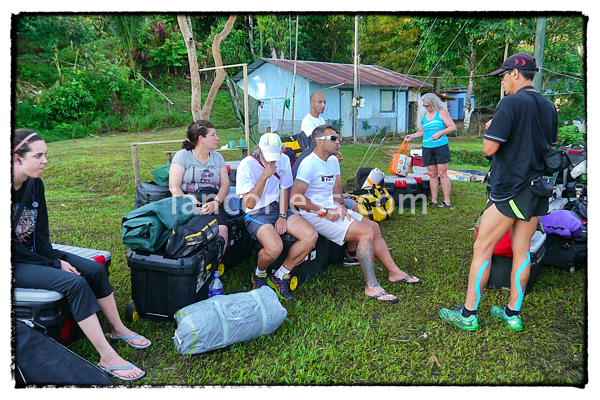 As you say, you don’t need to carry all your kit but you do need safety kit, food, water and just essentials. But you are correct, all your clothing, tent etc is moved for you and then food is provided. It’s a hot and very humid environment and even when it rains it is not a problem, it is so warm. 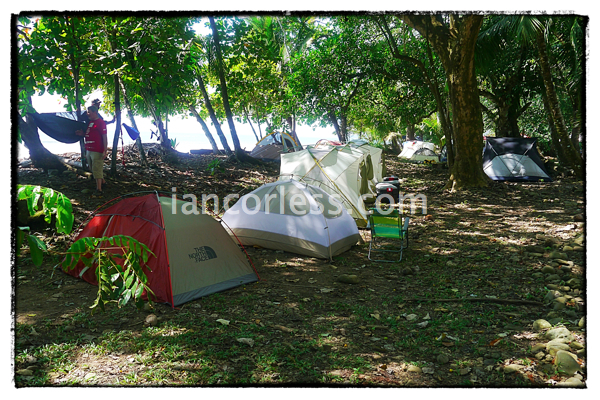 All the daily campsites are in beautiful idyllic places. It’s such a wonderful environment. It’s a great combination of providing daily challenging runs but with just a touch of comfort. It’s perfect for those who may want an introduction to multi day racing. JM In some ways it will feel easier but in an evening you will be able to eat as much as you like and so will the competition, in theory you are all the same come the following day. But at MDS it is about survival and balance. It is more about balancing and economy and how you ration your food and water. 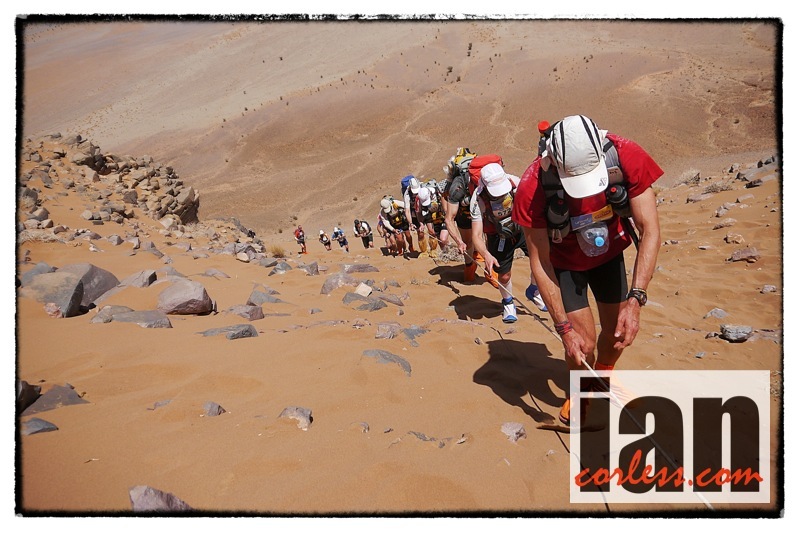 IC The race has so much more elevation than MDS and in particular, the terrain is much more varied. You have single track, double track, rocky sections, forest, dense forest, beautiful beaches and then some tough climbs and descents. The next edition of the TCC celebrates its tenth year so it may have a little more climbing than normal, we shall see? The variety is amazing. If you are lucky, you’ll see wildlife. You hear it but don’t always get to see it. JM I’m so excited. I can’t wait. I have some road races to do in the coming months and then I will start my TCC training three months out. I will use a heat chamber again. The heat chamber I used for MDS prep was stuck on 80% humidity so I have an idea of what conditions will feel like and I know what my sweat rate is like. IC Costa Rica is very humid. It is almost 100% but it is not unpleasant. You really do sweat all the time, particularly when running. You need to be on the ball and balance your hydration. JM I like it harsh and hard conditions. In some ways, the harder the better. IC How do you prepare for a multi day race? In some ways you had to guess for MDS and that worked! So, what do you take away from that experience and what will you do in preparation for TCC. The longest stage is around 50k and not 80k so that will make a difference. As we have said humidity and terrain are the key differences and you won’t need to carry a heavy pack. JM I will do far hillier off road training. For MDS I had to train with the weight too, however for TCC I will just use essential kit and I will do plenty of back-to-back training at a faster pace. I will try to replicate the race really. In some respects it won’t be too different from my marathon training. The key will be the back-to-back runs..
IC We have so many different ways to look at training. Some runner’s just head out of the door and run on feel. No time set, no distance set. It all goes on feel. Are you like this or do you have a plan that has everything planned out? JM I work full time so I must have a plan. I don’t have the luxury to say go out and run for three hours when I feel like it. I have commitments. I get up at 05:30 and I do what I can and then I add to this at lunchtime or the evening if required. I make every session count so I fit in threshold running, speed work and so on. I need to be very specific. At weekends I have more time and if I need three days consecutive I take a day off work. IC Do you do core stability, stretching, strength and core. JM Oh yes, I am a proper geek when it comes to this. I am a physio too so I have no excuse. I stretch everyday, I do two strength sessions and I do two core sessions per week. IC Wow, you are the perfect example for all of us. So often I ask this question and I get a blank answer. We all know we should do it but few of us apply it! JM I am disciplined and I see the benefits. You have to be disciplined but it still doesn’t stop me getting injuries. IC Ah well, injury can be caused with so many factors. JM For me it is usually over doing it or being tired. IC Yes, distance and speed increase injury risk. Slower and longer has more impact but you don’t overstretch muscles or tendons. Listen to your body and all will be good. 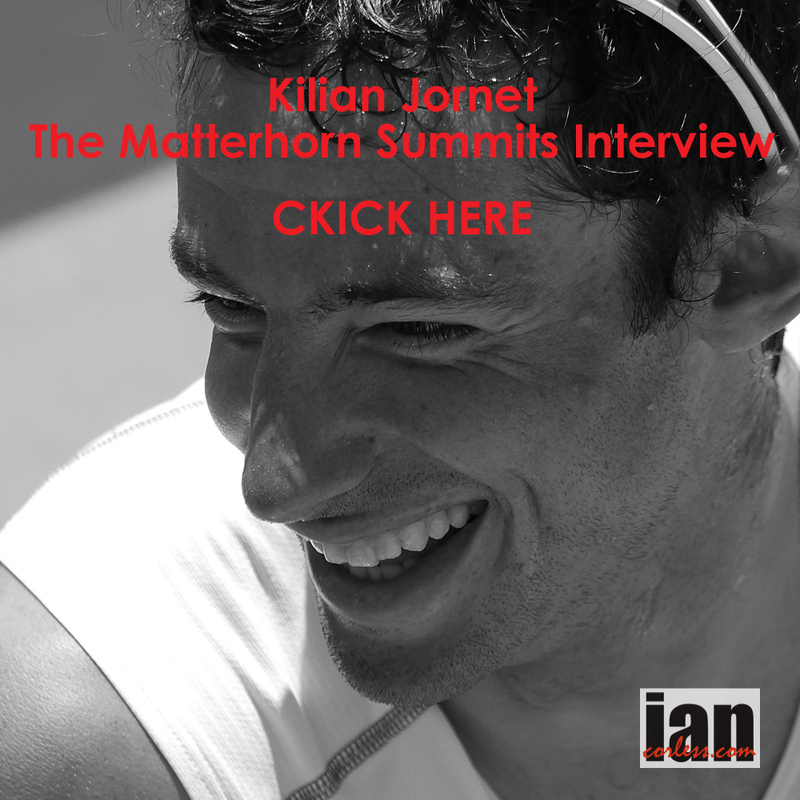 JM I never listen to my own advice… I am lucky, we have a gym at work so it makes strength work easy. If I didn’t have that available it would maybe be harder. I have been strict with this for four to five months and I can feel the difference. IC TCC is still months away, are you planning on doing any trail races for late season in the build up? JM Yes, I love to race. I will enter races, from experience, if I enter races too far in advance I get injured, so I have entered a couple of marathons on the road for training and speed. In December and January I will look for options. Of course, options are reduced and conditions will be a little different to Costa Rica. IC Late and early season events do crop up specifically designed to help people get ready for MDS so you will have some choice. Final question, many may be reading this and they are going to MDS or they may be tempted by TCC. What advice would you give to these people? JM It very much depends on what you want to get out of it? I shared a tent at MDS with people who wanted to just complete, they wanted to enjoy the race and that is what they did. Set an objective and train accordingly. Ultimately it is all about fun and enjoyment. IC If you had to give three tips. 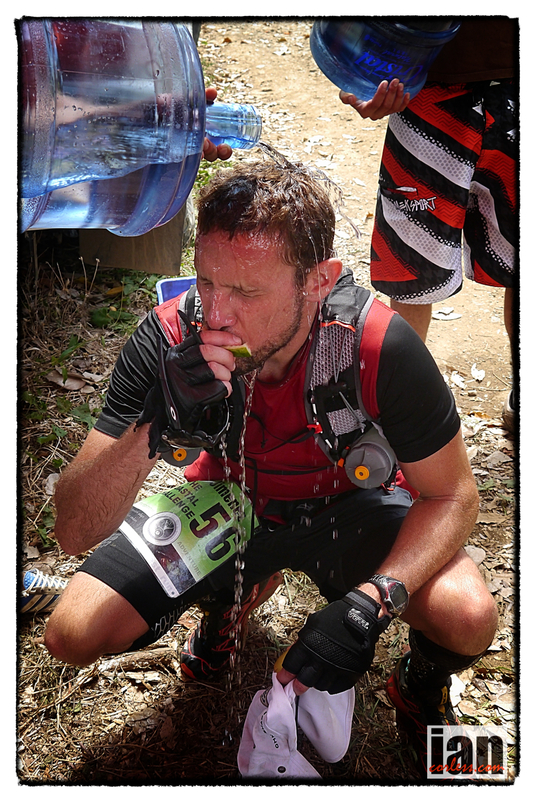 Three lessons you learnt at MDS that you would take to any race. JM Good question. 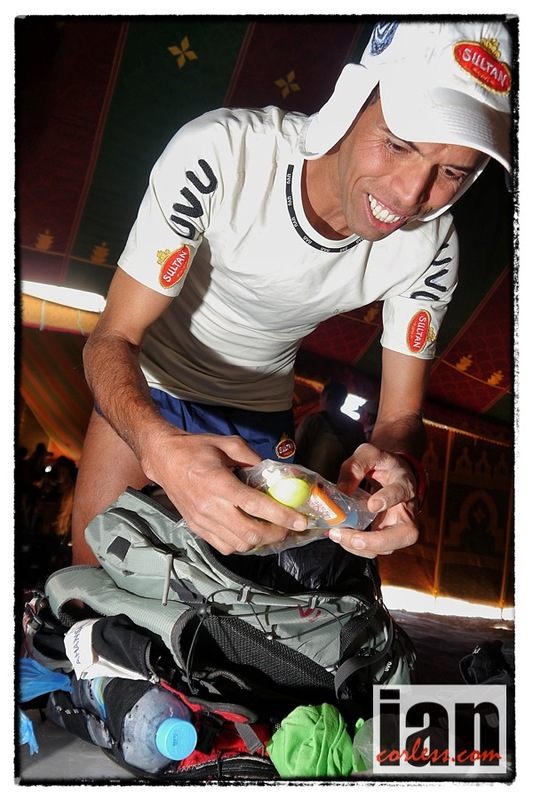 I learnt specifics like running in the sand but I guess the need to watch and keep on top of nutrition. Start eating early and don’t wait. Also, keep any eye on hydration and drink to thirst and then finally enjoyment is key! You must enjoy it. 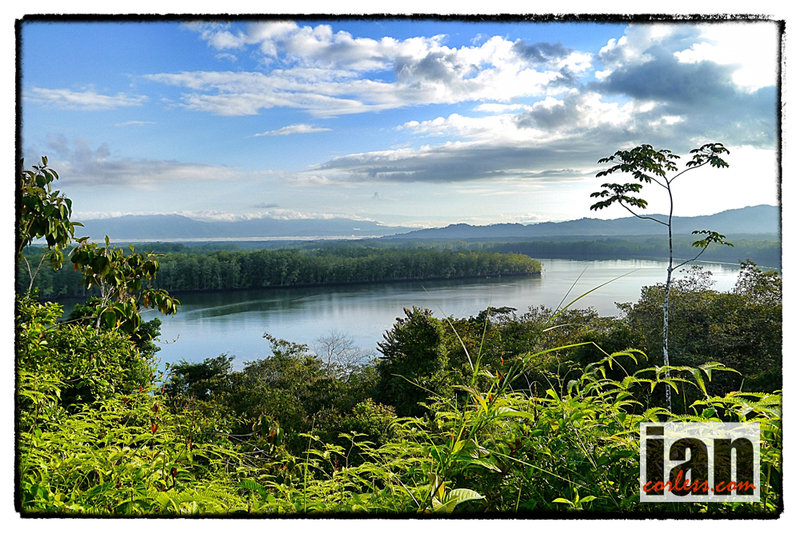 IC I am sure you’re going to really enjoy TCC and Costa Rica. 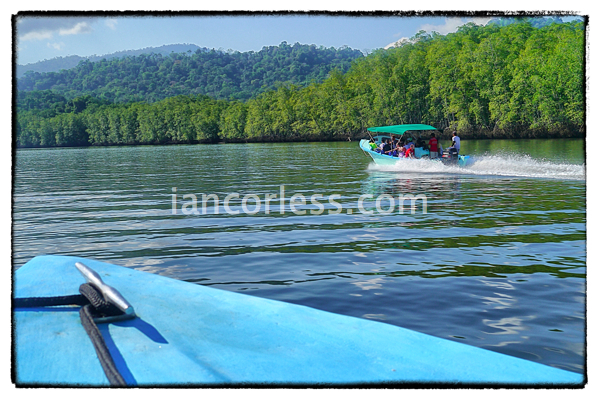 Many thanks for the time and insight into your progression and have fun in the Rainforest. JM Thanks, as you say, really looking forward to it. It will be a real adventure. 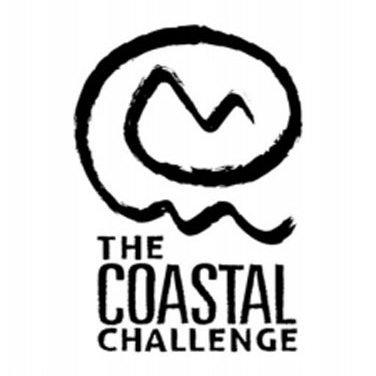 WANT TO RUN THE 2014 COASTAL CHALLENGE? 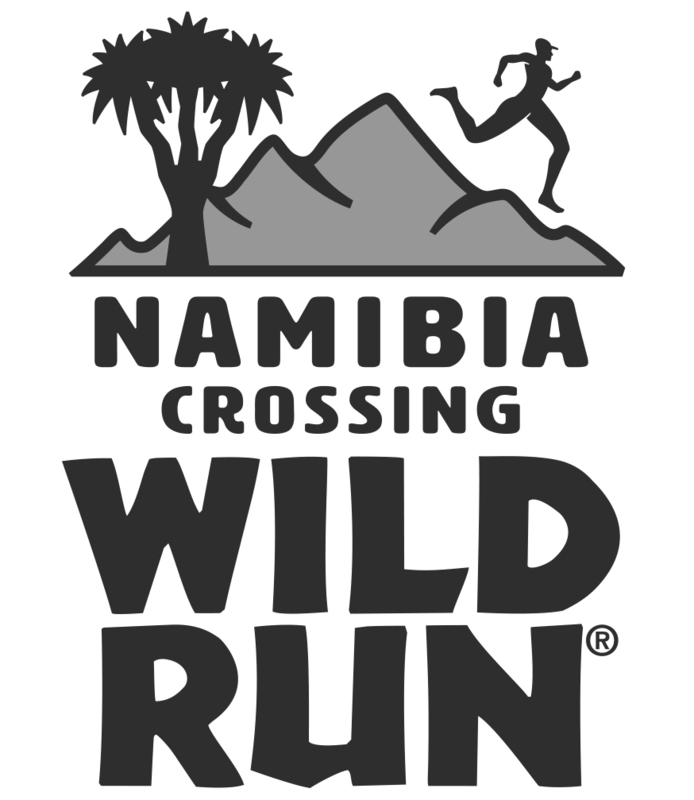 *Please note I will be at the 2014 TCC reporting on the race and capturing images at the invite of the race organisation. 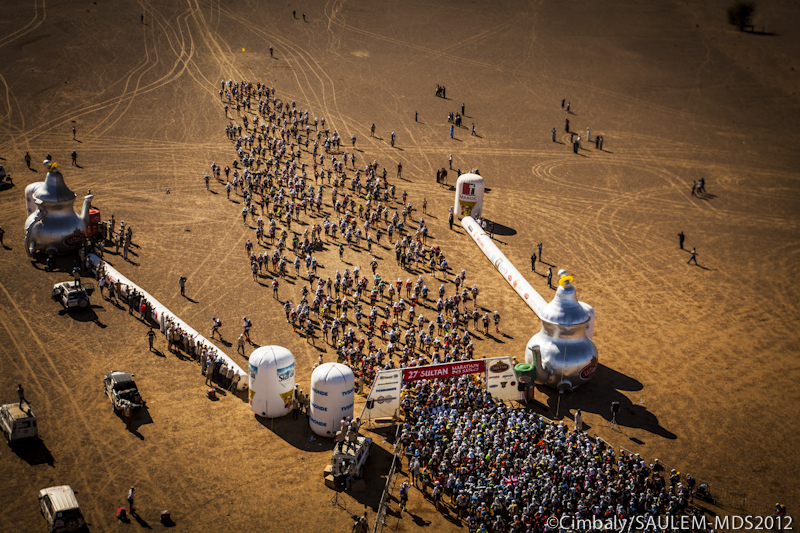 A portfolio of selected imagery from the 28th edition of the Sultan Marathon des Sables is now on line in individual galleries for each day. Please follow the links for each gallery. IC Patrick, welcome. In 1984 you took a solo journey across the Algerian Sahara. Why, what inspired you? PB In 1984 I decided to take a self-sufficient journey of 350km. It took me 12 days; because of my self-suffiency my pack weighed 35 kilos. I needed enough food water for the whole journey. I had no help. It was an incredible undertaking. IC What was the motivation, It must have taken some planning? I said to my brother you must help with a camera and sponsors. Just three weeks later I left to take the journey. IC That journey influenced the rest of your life but importantly it changed your immediate life in the mid 80’s. 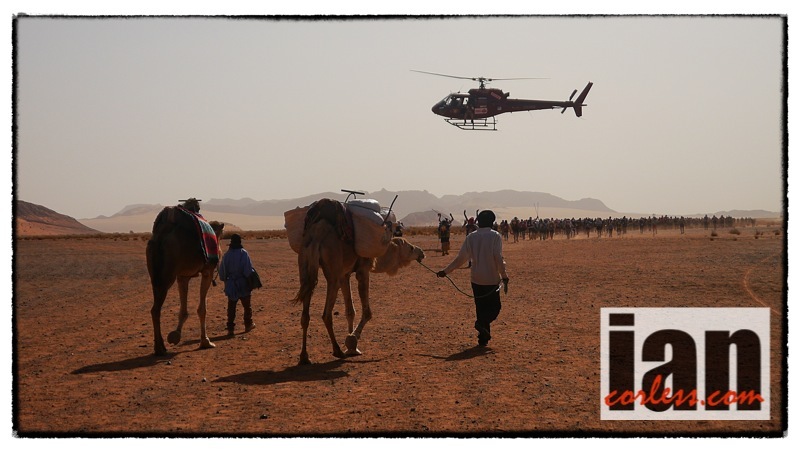 In 1986 you decided to share that experience and create Marathon des Sables. What gave you the confidence to create such a race? How did you know you would have a market? PB I realized when I did a presentation to my village. I had friends and sponsors present. It was a thank you but I had awoken curiosity and interest. Local runners did not want to make the journey alone, so, I decided to organize it. No other event compared, maybe Paris-Dakar. It was a ground breaking moment. IC In the early years, was participation mainly French? PB Yes, French with the exception of one Moroccan. We had 23 runners at the first edition. It took 24 months to plan and create. Little did those 24 know that they would be the pioneers of one of the most beautiful stories that will soon be 30 years old? 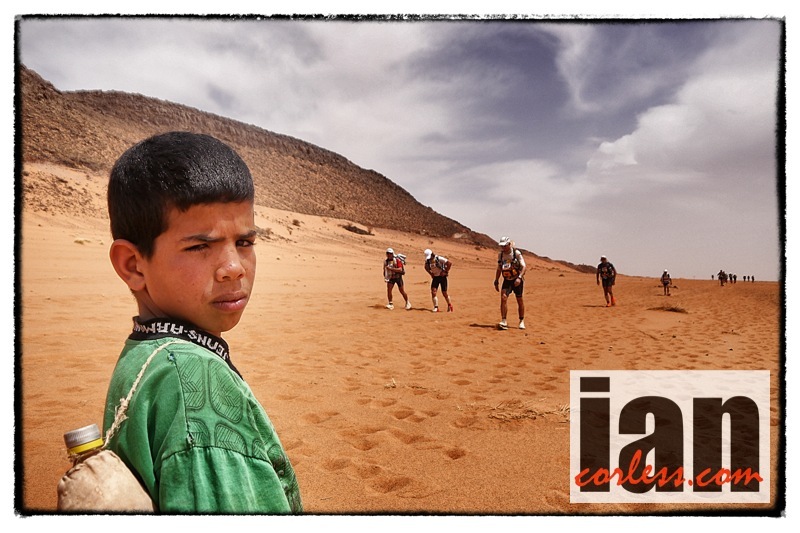 IC In the early 1990’s you contacted ‘The Best of Morocco’ to introduce British and Irish runners, was this a long term plan to expand the race? 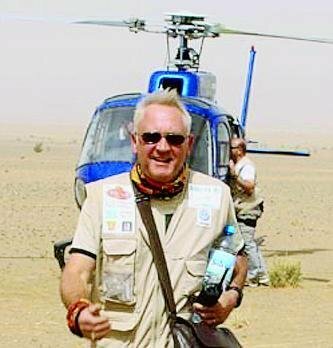 PB We already had contact with this agency (Best of Morocco) but by 1990 I had already done 5 editions of the Marathon des Sables. I wanted to expand internationally and I wanted as many countries present as possible. We started in a tentative way and today we have as many English runners as French and potentially more in the future. IC British entries have reached 250+. The race is known worldwide. Did you know it would become so big? PB I would never in my wildest dreams have imagined it would be what it is today. When a race is over, I start immediately on the next year. I have a passion and I don’t think about it all the time. I want to be more strategic with my long-term vision. 2015 is the 30th edition; I like to plan 3 years ahead so I already anticipate higher demand for 2015. IC What is it that makes the race so special. 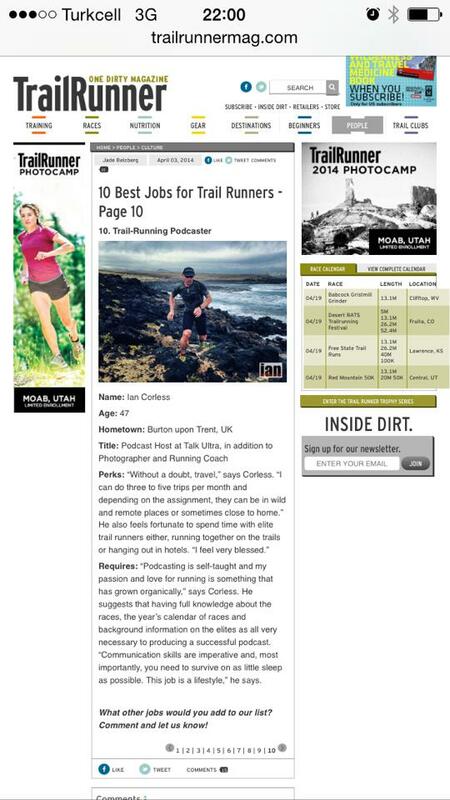 You appeal to novices and experienced runners. It is a difficult balance but you do it so well. PB I think it is the concept. The cocktail of the desert, running and the self-sufficiency. Nobody at the beginning thought it would be possible to run with a pack. 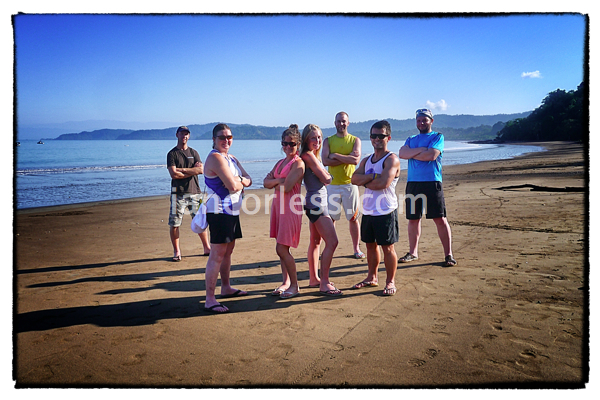 The expedition was an extra bonus…. You need to manage everything; calories, water, clothing, rest etc. All these elements combine to create the ultimate experience. It was new! Today we have additional security. Runners tell us that the safety element is key. Believe it or not, the average age is 40yrs+. These participants have families and children so risk is not negotiable. We want to offer security and safety for all these participants. We have helicopters, planes and insurance to make sure everyone is protected. 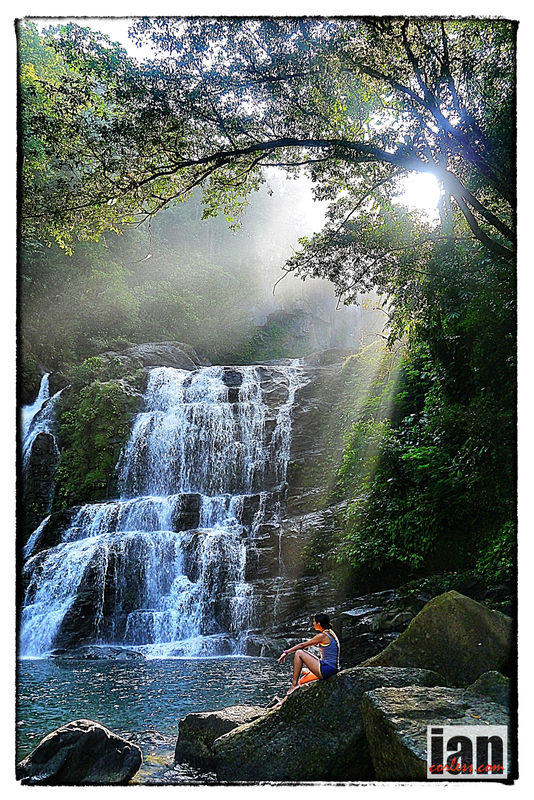 Finally, it is about testing your limits; in our busy lives we find going back to basics a wonderful experience. Under the stars with friends, sat around a campfire, simple conversation and no luxuries. It is primal. It brings out true values that we may have forgotten. Because the desert facilitates all that is around us, the stars, the universe, you don’t need a book to tell you that ultimately we are all insignificant. IC What is it that makes runners that go back year after year? PB Yes, we have some people returning for the 22nd or 23rd time. But it is not the same for all. If everyone came back we would have the same race, this would not be good. But we have a faithful family that we have created from the start. We have affinity and we love to find each other in the desert. We are also happy to find new friends. Maybe we have people return years later to celebrate a key moment such as a 50th birthday. We have a fraternity side, we share values. We have a respect for difference and other countries. All the languages that are spoken. These are the experiences that make the event. It is the combination of so many elements that make it great. We have an edge I think and that brings people back. IC What is the future of the race? Will the race become bigger with more runners? PB Yes, I think we will have more participants in 2013. We will have 350 from the UK. We had a meeting with worldwide representatives some time ago and it was decided that we would all work together on a communication strategy and we discussed the 30th edition. We have had great demand; we have refused more than 2,000 entries. I get messages about the 30th edition asking if it will be 300km as the 25th edition was 250km. Because of the worldwide economic crisis we may need to take more entries so that we can ensure the quality of the race such as safety. This is why we prepare 3 years ahead. 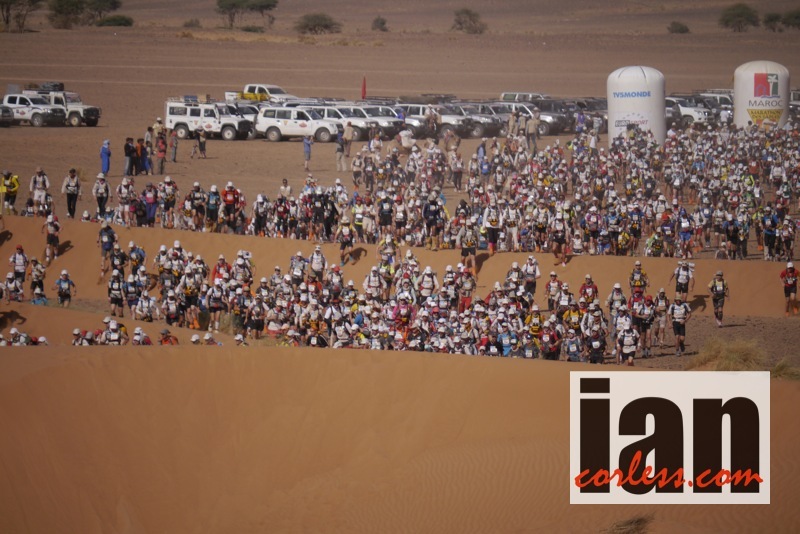 IC As a race director can you give us an insight into the Marathon des Sables? PB The advise to the runners is repeated every morning, like, hydration, protecting your head, sun block and more specific advice concerning the course. Storms can just arrive and then last a half-day or even 4-5 days. A few years ago we had floods… that year we had to plan from day-to-day. It wasn’t easy. The biggest problems are usually weather related. For the rest of us, it is a safe country. We have government backing should we have a problem, for example we have military assistance. We have trucks and soldiers who transport the tents everyday and we have 400 people who work on the event. If you add journalists, drivers, volunteers etc. then we have more like 450 people. I have 110 people who directly report to me. IC It is so impressive, the tents, the staff, and the helicopters. A circus! PB It is a little like the circus. Up and down, load up and move. I am always impressed. It is fantastic. IC Since the beginning can you pinpoint any highlights? PB The feeling you get from every event. We have an extraordinary experience. We share values with participants and it creates a bond. Some say ‘never again’ and then two years later we see them again. We all strive for equilibrium to balance the experience and we all strive for positive thoughts. If we have them then we can share beautiful things. IC In 2005 you had an Opera singer to sing before the start. A magical experience. PB Yes, for the 20th anniversary we had a spectacular start with an Opera singer and musicians. She was Japanese. It was a moving experience. Classical music is in harmony with the desert. At the beginning the runners are still fresh so they can enjoy the experience. 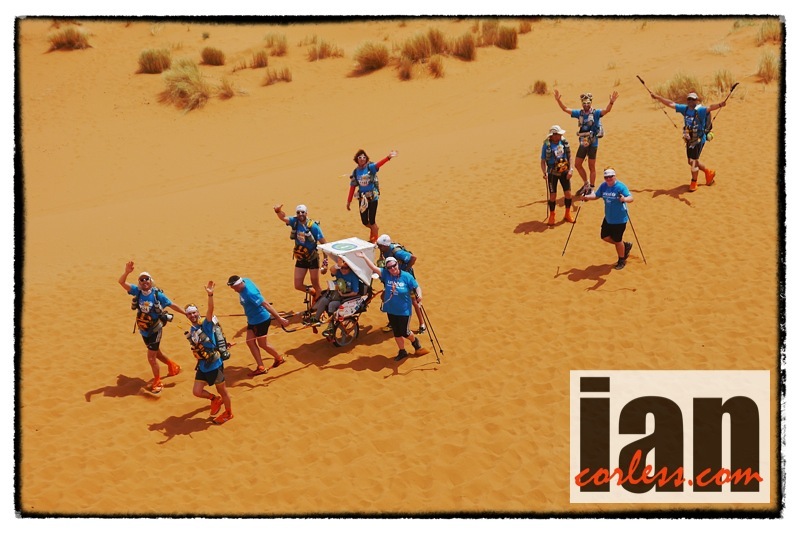 IC What do you think of Olympian James Cracknells performance at Marathon des Sables, he is not your ‘typical’ desert runner? PB He was an excellent champion, a top-level athlete who understood how to test the limits. So I think he had a new experience in the Sahara. He asked himself what he was doing at the race several times I think. Discovery Channel did a documentary on him. He demanded respect as an athlete. As a man I did not get to know him but as a sportsman I am sure he has great values. 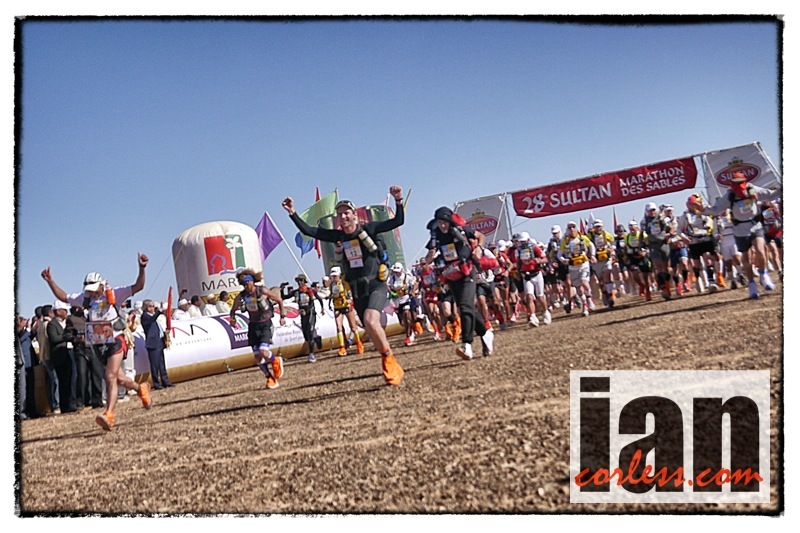 IC Has the race become easier over time or have you made adjustments to make the experience more challenging? PB The race is not easier. The distance has increased over the years but water can be a key issue and we now have great water supplies which was not so in the past. In the past water was an issue. But we all have short memories. We forget the hardships. Every year has new demands. We now have more positive incline. We used to spend time in the valleys. IC True, we all forget hard times very quickly. We always remember the good times and they are our memories. 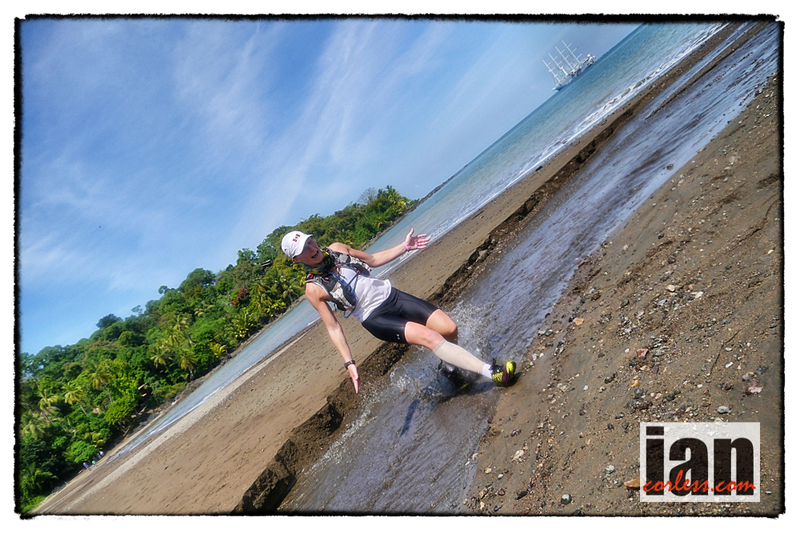 PB At the end you have sore feet and blisters… but your mind is selective. We filter the negative to retain the good. The human and sport experiences. We forget the soreness and remember the positive. IC Do you still run, do you have the time? PB Yes, I run after the sponsors, I run after my planes, I run after my trains… I started cycling a little and I do a little running. It’s not a good time for me. But then again, I always have an excuse. It is difficult but I am motivated to try to be more regular with my own exercise. IC Patrick, it really has been excellent to get an insight into such an iconic race. Thank you so much. Difficult to believe that this was just over a week ago but this movie nicely compresses six incredible days in the Costa Rican rainforest. All things must come to an end…. the atmosphere around camp was a little subdued. Some participants looked relieved that they didn’t have to squeeze a pair of shoes onto blistered feet. 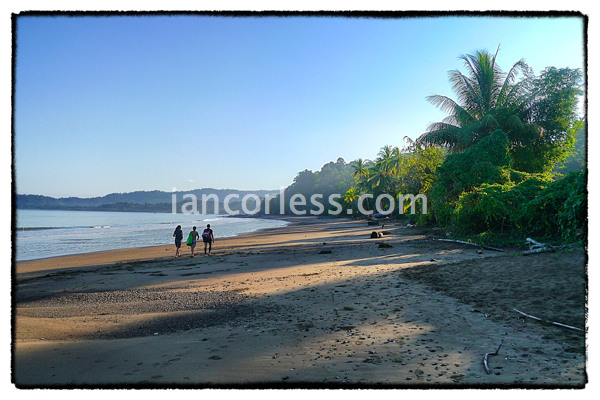 For others, they seemed sad that another day on awesome Costa Rican trails didn’t await. Ultimately every person had a story. A unique story, personal to themselves that they would hold within them forever. No matter how low the low points, the day after never seems so bad. If it was easy, everyone would do it…. 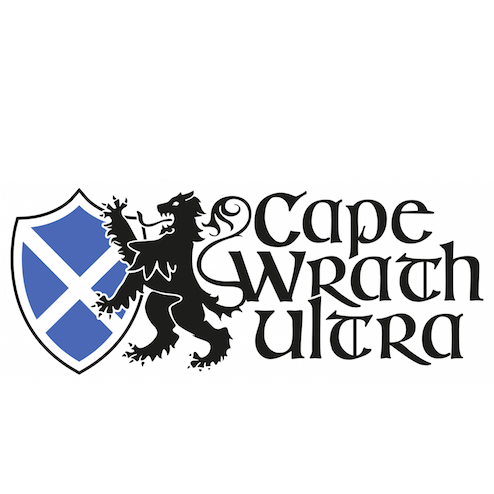 The Coastal Challenge offers some very testing terrain with relentless heat and humidity to provide an overall race experience that will test each and every person. 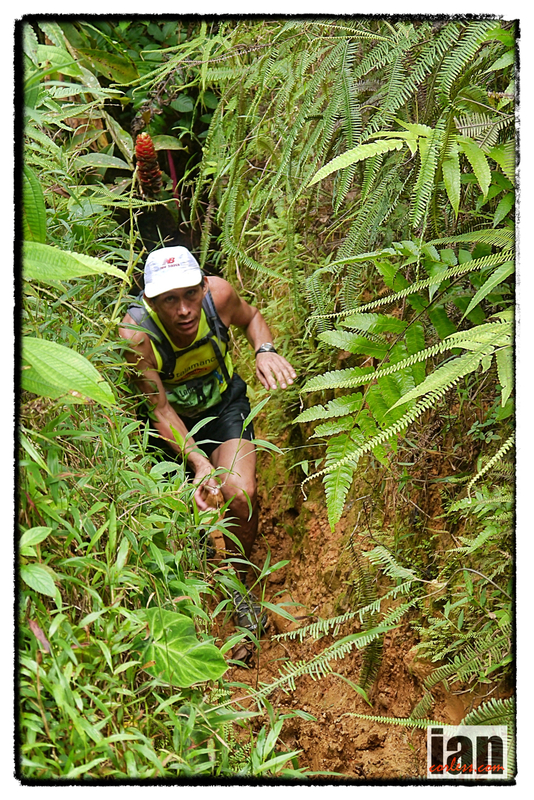 To cross the line on the final day requires commitment, dedication and some luck. A key aspect of this race is camp life. An opportunity to relax in beautiful locations, make new friends and sleep under the stars. Strangers by the end of day 1 became best friends by day 2. The comradeship, the willingness to sacrifice time to help another is a great thing to see. One persons suffering was taken on by others and the burden shared.